A top SEC official says companies should be allowed to force shareholders into arbitration; advocates call it a blow to corporate accountability. James Kacouris’ timing couldn’t have been worse. Just 24 hours after he purchased 140 shares of Facebook, the company’s shares plummeted 18.96 percent in the biggest one-day stock loss in U.S. market history. Kacouris filed a lawsuit in federal court in Manhattan July 27, seeking to represent all shareholders who purchased Facebook shares between the company’s sunny quarterly report of April 25, when CEO Mark Zuckberg said the year was “off to a strong start,” and the disappointing report of July 25. Kacouris charged that the company failed to disclose the challenges that it was facing. Over the years, major institutional investors such as pension funds and endowments have retrieved billions in compensation after companies allegedly made false or misleading statements. For decades, investor advocates have spoken out against mandatory arbitration of the complaints that investors bring against their stockbrokers, arguing that the private arbitration forum run by the securities industry disadvantages complainants. Even when the SEC was aggressively bringing cases during the early 2000s, the penalties and fees it collected paled by comparison to the amounts returned to investors through class-action suits. If proponents of deregulation have their way, people like Kacouris won’t be able to sue potentially errant companies in the future. Earlier this month, Securities and Exchange commissioner Hester Peirce told Politico that she “absolutely” thinks that public companies should have the option to require arbitration, which would strip shareholders of their right to bring lawsuits like the one Kacouris filed. The comments by Peirce, a Trump nominee who took office in January, amplified previous remarks by other SEC officials. Commissioner Michael Piwowar, for example, who departed his post in July, told an audience at the conservative Heritage Foundation last year that he would “encourage” companies to come talk to the SEC about putting mandatory arbitration clauses in their charters. Shareholder lawsuits have long played a pivotal role in deterring corporate wrongdoing and compensating investors for fraud. “When people realized that a high-flyer firm like Enron, with a major accounting firm as auditor, could be engaged in such widespread fraud, it got people digging into the books of a lot of other companies,” said Barbara Roper, director of investor protection at the Consumer Federation of America. “And we went through a whole wave of major accounting scandals, which led to the passage of Sarbanes-Oxley.” Over the years, major institutional investors such as pension funds and endowments have retrieved billions in compensation after companies allegedly made false or misleading statements. In 2012, Bank of America paid funds for public retirees $2.4 billion to settle allegations that it made false statements and omissions related to its acquisition of Merrill Lynch during the financial crisis. It would be calamitous if companies could bar class-action suits, said Dennis Kelleher, president and CEO of the nonprofit Better Markets, which advocates for tighter financial reforms. “It would be the biggest anti-investor stain by the SEC in its history, he said. “A declaration of war by the SEC against investors.” Roper says Peirce’s endorsement of the idea is “disturbing” given her influential seat at the commission. An SEC spokeswoman declined to comment. The risks of mandatory arbitration have been on vivid display in recent years as the sexual assault allegations surrounding Hollywood’s Harvey Weinstein and Fox News’ Roger Ailes exposed the ways such provisions in employment agreements had protected the alleged perpetrators for years. For decades, investor advocates also have spoken out against mandatory arbitration of the complaints that investors bring against their stockbrokers, arguing that the private arbitration forum run by the securities industry disadvantages complainants. Consumer advocates have decried their use in everything from cellphone contracts to nursing home agreements. Now, shareholders could lose their right to sue, too. It could be a serious blow to the goal of making investors whole after fraud: Federal courts approved nearly $6 billion in securities class action settlements in 2016, according to Cornerstone Research, a consulting firm, substantially outstripping the $4 billion in disgorgement and penalties demanded of lawbreakers by the SEC in its 2016 fiscal year. Robert J. Jackson, an SEC commissioner and critic of mandatory arbitration for shareholders, noted in a speech earlier this year that sixty cents of every dollar returned to investors in corporate fraud cases in 2016 came from private settlements, as opposed to actions brought by the SEC. He argued that investors who sue are often the last line of defense deterring insiders from committing fraud. “The cops can’t do it alone,” he said. Jay Claton is sworn in before the Senate Banking Committee during his confirmation hearing to be chairman of the Securities and Exchange Commission in the Dirksen Senate Office Building on Capitol Hill March 23, 2017 in Washington, DC. 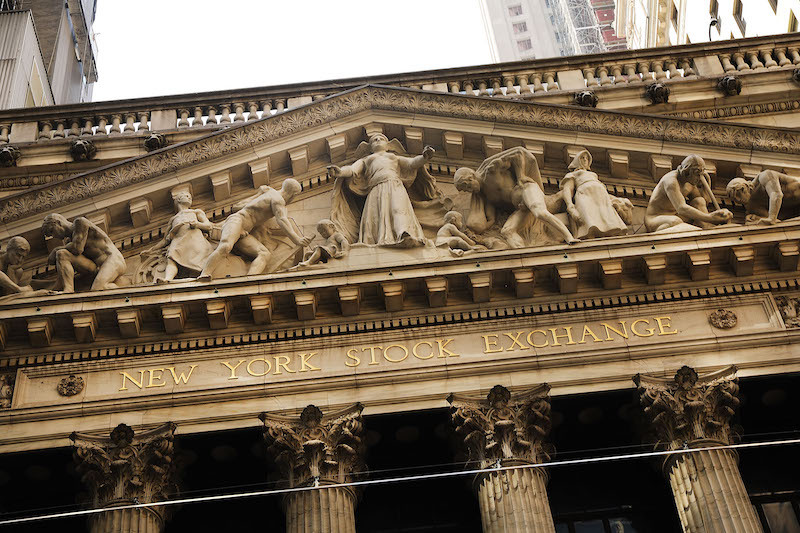 Up to now, the SEC has favored the right of shareholders to access the courts. In 2012, when the investment firm Carlyle Group filed its initial public offering documents with the agency, the SEC pressured Carlyle to drop a requirement that shareholders give up their right to join together in a class action suit, noting that it was not able to conclude that the policy was “consistent with ‘the public interest and protection of investors’ as required” by the Securities Act. 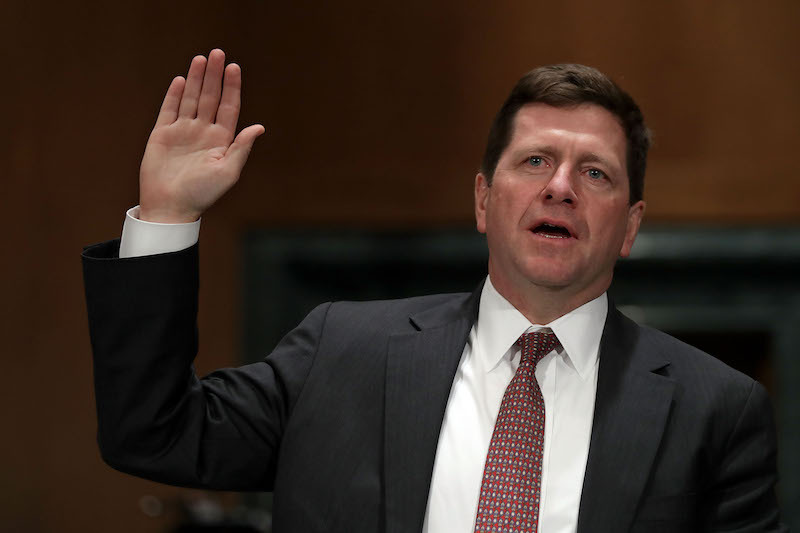 By last Fall, though, the agency’s director of corporation finance, William Hinman, was telling an audience of institutional investors that the laws have changed since Carlyle’s attempt to quash class-actions, and that the SEC would have to analyze developments “to see if we would take the same position.” SEC chairman Jay Clayton has said that the issue is not a priority, but that won’t matter if a company forces the agency’s hand by filing initial public offering documents that include mandatory arbitration. Peirce said in her email that, even without class-action litigation, there are “robust mechanisms in place to deter and punish fraud,” citing SEC enforcement, criminal authorities and short sellers among them. But SEC enforcement has been collapsing. The Securities Enforcement Empirical Database, which tracks the SEC’s enforcement actions, said in May that in the first half of the SEC’s 2018 fiscal year, the number of new actions against public companies declined almost 70 percent compared to the same period in 2017. Total settlements of $65 million were the lowest semiannual total in the nine-year history of the database. Even when the agency was aggressively bringing cases during the early 2000s, the penalties and fees it collected paled by comparison to the amounts returned to investors through class-action suits. The AFL-CIO calculated that the SEC’s actions in the wake of massive lawbreaking by Enron, WorldCom, Tyco, Bank of America and Global Crossing netted total penalties and fees of $1.75 billion, while private lawsuits returned more than $19.4 billion to investors who’d purchased shares of those companies. “The rap sheet on corporate America makes Al Capone look like an unsuccessful street corner mugger." The specter of having shareholder lawsuits shut down is spooking everyone from state treasurers in charge of billions in public funds to the SEC’s own investor advocate. In July, treasurers from California, Illinois, Iowa, Oregon, Pennsylvania and Rhode Island wrote to Clayton to warn that forced arbitration of shareholder complaints “spells immunity for many financial actors, even the very worst.” Five months earlier, Rick Fleming, the SEC’s investor advocate, told a Washington, D.C. audience that it would be “draconian” to rob shareholders of this right. He says class actions are additionally flawed because lawyers filing the cases don’t have an incentive to pursue the individuals responsible. “If a CEO was going to take a hit of $10 or $20 million, it could have a strong effect,” he said. “But class action lawyers don’t want to do that because money is easier to get from a company’s insurance policy.” But such disincentives would apply to arbitration as well. It won’t be pretty for investors who are victims of corporate fraud if mandatory arbitration begins to take hold, Kelleher said. “The rap sheet on corporate America makes Al Capone look like an unsuccessful street corner mugger,” he said. Take away investors’ right to sue, he said, and it will be “open season” for companies to bend or break the law.